those lovely priestesses make it happen........every year! Beautiful Marion Brigantia..........priestessing for you and for me. I had to go all the way to Somerset to meet Dutch drummers Isabella Verbruggen en Loes. We'll meet again ladies, as soon as i finish : when the drummers were women. 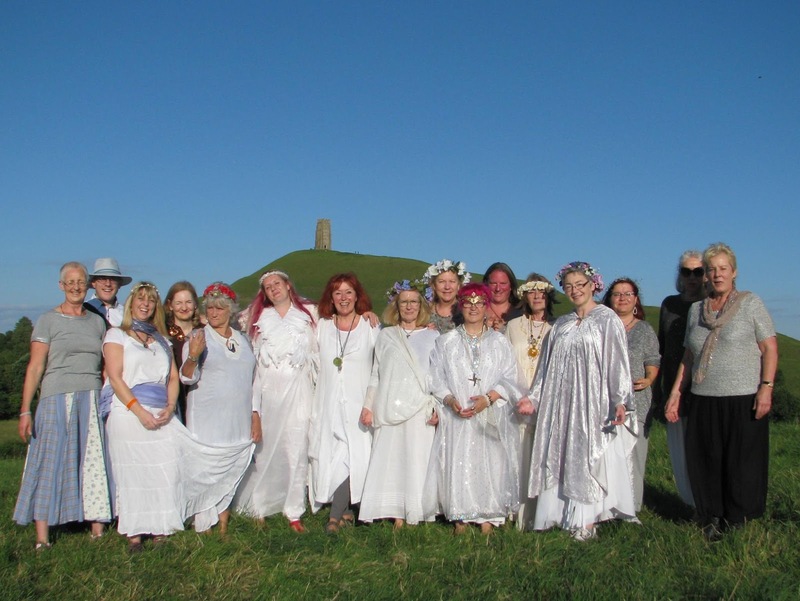 Then on the eve of full blue moon we walked into the sacred landscape of Glastonbury Avalon to the sacred hill of the Chalice and as priestesses of Brighde we welcomed all who wanted to honour the Moon Goddess before walking on to our Lammas Fire Ceremony site at Avaloka. There we lit the Lammas Bonfire and energised our crystals in the light of Her Fire with songs and music.